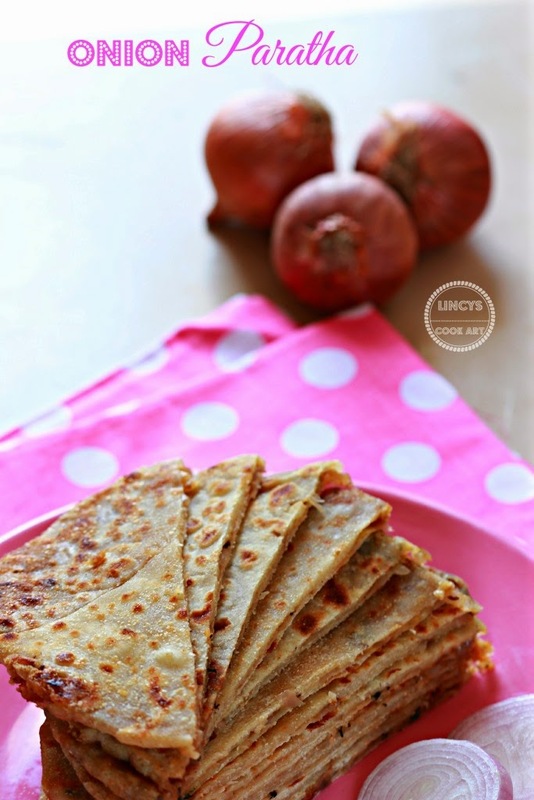 Onion parathas are simple to make parathas without any veggies. Some days we run out of any veggies due to some reasons like cleaning or just back from travel. Those days we feel like have some home cooked food and our body wont allow to go out and buy some veggie. Every home we keep onion and atta if we go out too. So we can make a yummy filling dish out of it and treat the taste buds with our home cooked food. I love the caramelized sweet taste of those cooked onions inside the parathas. I have it without any side dish as it has some spices inside it. Do try this and let me the outcome. To make Onion stuffing, finely chop the onion. You can make this parathas without cooking the onions too. Just mix the chopped onion, chilli powder, garam masala and coriander leaves together and take a tablespoon of mixture inside the rolled disc of paratha and spread and cook them. 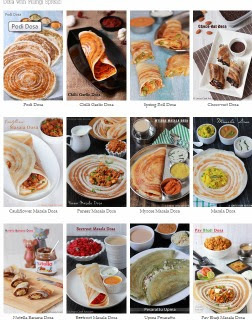 (or) Follow this half cook method to get slight sweet and tasty parathas. Heat oil in a pan and fry jeera. Add the chopped onion and cook for fifteen seconds. Add the ginger garlic paste and salt; cook till the raw smell leaves and the moisture almost evaporates. Add the masala powders turmeric powder, red chilli powder and garam masala and mix well and cook till the raw masala smell leaves for fifteen seconds. Add the chopped coriander leaves and switch off the gas. Allow the mixture to cool. Once it cools down make them in to small lemon sized balls. Keep the onion stuffing inside and gather the edges and press well to seal well. Fantastic parathas, i can finish that whole plate in no time. this is really so good when there's no veggie at home..looks delicious..